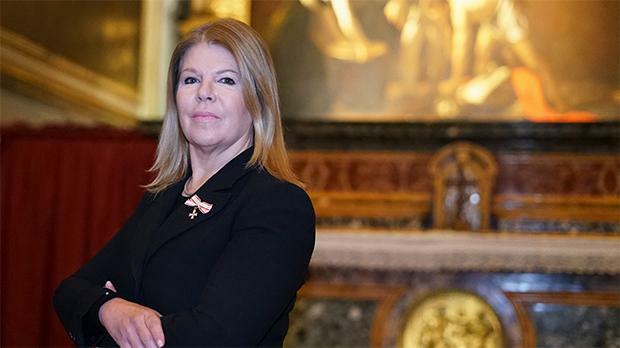 The Sovereign Military Hospitaller Order of St John of Jerusalem, of Rhodes and of Malta honoured Ms Cynthia de Giorgio, CEO and Curator of The St John’s Co-Cathedral Foundation with the Cross of the Order pro Melito Melitensi. The award was authorised by The Grand Master of the Knights of St John, and the Sovereign Council. This award stands as a testament to Ms de Giorgio’s outstanding work as CEO and curator of St John’s Co-Cathedral in Valletta. Since 2005, Ms de Giorgio spearheaded many conservation projects at St John’s Co-Cathedral that reinstated the rich religious embellishment endowed by the Knights. Ms de Giorgio, an author of several publications on the subject, is also responsible for the exciting New Museum Project to be opened in the coming years. The decoration of the Cross of the Order pro Merito Melitensi is awarded to recipients who have brought honour to the Sovereign Military Order of Malta, and promoted Christian values and charity. The award was presented during a Ceremony of Investiture and Awards presided over by Marchesino Daniel de Petri Testaferrata, president of the Maltese Association on Friday, February 1. A Latin Mass was also celebrated by Archbishop Mgr Charles Scicluna to commemorate this ceremony. This award ceremony was held in the Oratory of St John’s Co-Cathedral in the presence of distinguished guests, members of the Order and family members of the conferees.